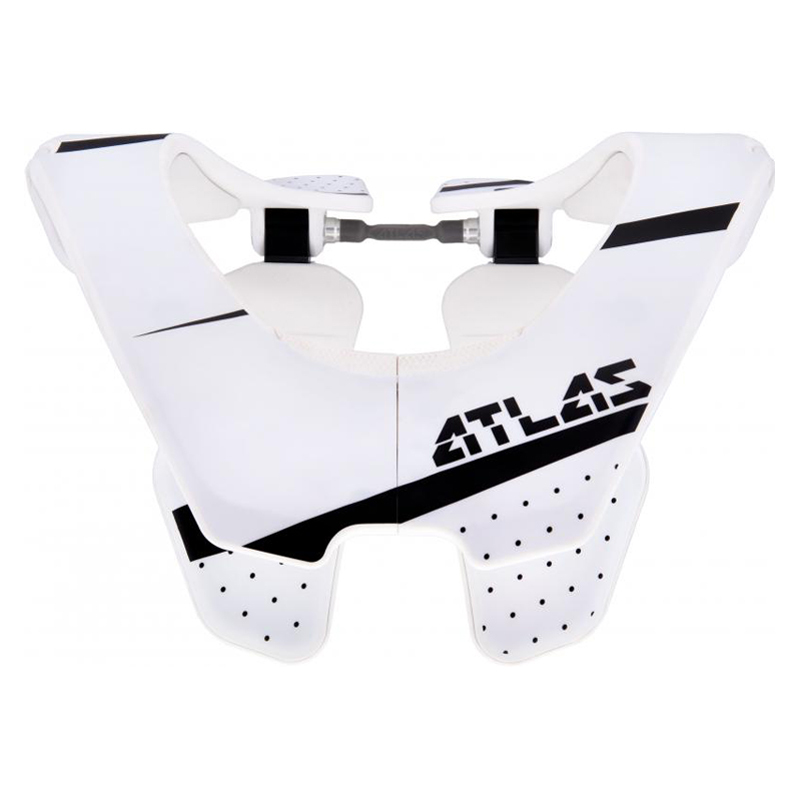 The overall height of the Atlas Air Neck Brace has been reduces, yet the amount of surface area in contact with the body has been increased in order to maximize the distribution of impact forces. In fact, each Atlas Brace sits on 27% more of the body than the competition. A smaller and lighter product feels like you are wearing less, greatly enhancing the user experience of a neck brace. The most amazing thing about wearing it is that you forget you’re even wearing it. - Smart Mounts – One mount, 6 positions. Reversible to adjust size, and choose from a -10", 0", or +10" back support angle in either position. - Height Adjustment – Choose from 2 possible height adjustments to create the best fit for your body type and helmet choice. - Feather Weight – New weight is 20% lower than the previous model. The most amazing thing about wearing it is that you forget you’re wearing it. - Surface Area – By sitting on 27% more of the body than other neck braces, comfort is maximized, and forces are distributed more efficiently over the body. - Sizing Recommendations: (Sizing is based on chest circumference - distance around the chest, measured high on the chest, just under the arms).